My private lessons in Japanese are mostly individual, but I can teach a maximum of 2 people per lesson if you apply together with a friend of yours and provided you have the same level of Japanese. If you need to learn Japanese for tourism, work, or a university exam or thesis, even for a brief period, you are very welcome. I will tailor a course to suit your individual needs, purpose and learning style. 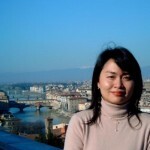 The teacher, Fumiko, holding a Japanese University degree in English language and Literature, has been teaching Japanese to foreigners since 1998, and is fluent in Italian and English. 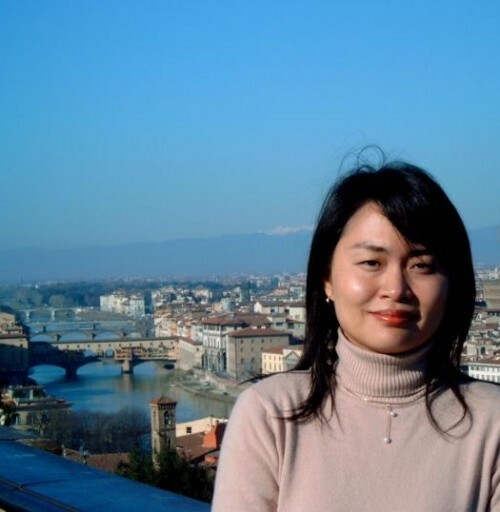 At the beginning, you might feel disoriented to realize that many structures common to Western languages and which seemed universal to you do not apply to the Japanese language, but Fumiko will explain such differences to you, comparing the grammatical and cultural differences when needed. She will teach you what you need to learn, at a pace to suit you, enabling you to communicate effectively, in a kind and grammatically correct way. Maybe you have come across those “Learn Japanese Super-Fast and Effortlessly” methods, making you parrot pre-packaged sentences: they may be great at giving you the IMPRESSION you can speak Japanese, as long as you are dealing with exactly the situations described in your illustrated text-book: but they are ill-suited to tackle the new, unpredictable situations that you will be faced with in your daily life in Japan, OUT of the classroom. At AZ Japan Services instead, you will gradually but systematically acquire the grammatical framework and the grammatical tools that will enable you to independently create sentences of your own, to really express what you mean. so, from the very beginning of your course, you will apply your new grammatical tools to meaningful conversation, learning how to interact with Japanese people around you, making friends with them, sharing your views with them, and solving the practical problems of your everyday life in Japan. You will actively exercise the four fundamental functions of language: listening, speaking, reading and writing. As you go along, each time the flow of your expression or comprehension is hindered by grammatical or vocabulary problems, your teacher will remove those stumbling blocks, providing you with the key grammatical structures and the vocabulary you need to express yourself, or understand. My lesson plans are always structured in “4-week terms”.